A surprisingly large number of small businesses haven't yet made the move to cloud computing. Here are 5 ways cloud storage can help your business grow. Atlantec loves this new short clip from Microsoft. 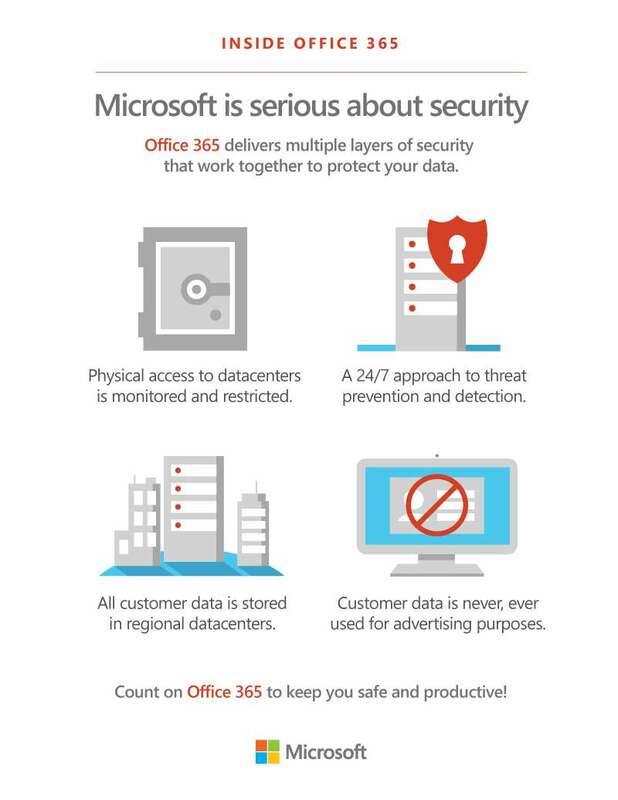 It highlights the incredible amount of secure data storage each license of Microsoft Office 365 provides through OneDrive for Business. One Terabyte to be exact! Atlantec takes a deeper look at how Microsoft Office 365 helps small business owner Scott Naucler keeps software costs down thanks to Office 365's low monthly subscription cost. One license of Office 365 is good for use on up to FIVE devices for a single user, which means that you can get more stuff done anywhere, anytime - and at a reasonable cost. Contact us today to find out how we can help you do the same! Employees can answer emails and access company files wherever they go on their mobile devices. This means your sensitive company data goes everywhere they are. Find out how Fred, owner of a construction company, keeps his company data safe even when devices go missing. Azure Backup, an underlying technology of Operations Management Suite, is a scalable solution that protects your application data with zero capital investment and minimal operating costs. Azure Backup can retain your data for up to 99 years to meet regulatory requirements. With Microsoft OneNote, teachers can create notebooks that help them stay organised, deliver curriculum, and collaborate with students and colleagues. Where is your cloud data stored? Here's Fred. The hybrid cloud is helping his small UK business grow at a pace that works for him. In fact, many SMBs choose to go to the cloud for "improved business agility" (Forrsights Software Survey, Forrester Q4 2013). Now, Fred's crucial data is always available - but where exactly does it go when he hits save? Office 365 broadens the capacity for learning, offering on-demand access to documents and projects, and provides students new and creative outlets to learn both inside and outside of the classroom. Let’s explore some of the many ways that Office 365 can help students and teachers.